I’ve just returned from a week in Buenos Aires—my first time back in 20 years. My trips to South America generally haven’t gotten that far South. Like most Americans, I’m first struck by the blend of European appearance and Latin feeling. I had the added delight of spending two evenings with four wonderful friends from the past, Argentine expats of a sort who have found themselves back in the homeland. Among other things, we talked about trust. To American eyes, Argentina can appear untrustworthy. It has had several military governments; in 2001, it had four presidents in a matter of weeks, followed by a 60% devaluation. While I was there, the vice-governor of one of the provincial governments accused the governor of corruption, and said he was taking over the government as a caretaker. There was a bit of shooting, and it took a few days and police to roust the governor from his offices. Also last week, the president took away air traffic control from the military and gave it over to civilian control. Not quite ho-hum stuff for the Argentines—but considerably lower-key news than if the liuetenant general of, say, Massachusetts, took it upon him- or herself to declare the governor ousted and bring on the state police. Strong stuff for those of us accustomed to a certain level of stability and rectitude in our civic institutions. A tear in the social fabric of trust, etc. And yet—trust is absolutely alive and well in Argentina. Seeing why says a lot about the nature of trust. It is one thing—and a glorious thing indeed—to be able to trust a system based on law. Courts, precedent, police, prosecutors, defenders, regulations, legislatures, and respect for the law. There is a certain kind of trust that comes from that. But all that does nothing to create another kind of trust. The kind of trust that is expressed in a handshake, that comes from a personal sense of honor, which is that much stronger for being internalized in a way that legal compliance can never reach. My friend Oscar told of a man who offered to guarantee a price for some real estate for a month to an American woman. The woman’s daughter insisted that her mother get a receipt as a guarantee; the man, quite rightly, said there was no guarantee in this world a receipt could provide, but that his word of honor was as close as one could get. A Singaporean friend of mine worked for ten years to help make a Chinese multi-millionaire into a mega-millionaire, and did well himself in the doing. All ten years were based not on a contract, but on a handshake. I’m no expert in Argentine (or Singaporean) politics or social affairs, and there are thieves and honorable people in every country. My point is that, in the absence of institutional trust, the power of personal trust becomes very apparent. It is so in Argentina in dozens of little daily ways. Here are the interesting questions; I don’t claim any great basis for my own answers to them. 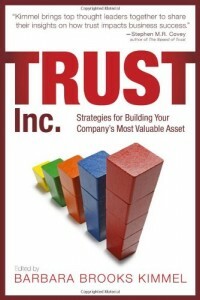 •	Does having trusting and trustworthy people guarantee high-trust social institutions? 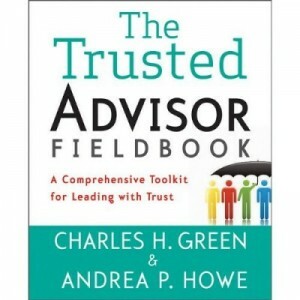 That is, is individual trust sufficient to create institutional trust? I think not; Argentina may prove the point. •	Can a country gain high-trust social institutions without trusting or trustworthy individuals? That is, is individual trust a necessary condition for institutional trust? I think it is necessary—though sometimes it seems as if the US is trying to disprove that theory by treating personal situations as social or legal cases. •	Can’t we aspire to both? I don’t see any reason why not. But if I had to pick one excess to live in, my heart would incline toward a world of high personal trust and sloppy institutions, rather than the reverse. Own some property in France or Miami, keep some cash in Geneva; but live in Buenos Aires. Un abrazo a Oscar y Beth y Ambrosio y Maureen.